Introducing easidream® a revolution in baby care. We discovered this wonderful new product & just had to add it to our product range! 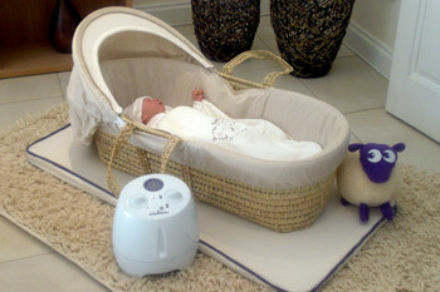 easidream® is a revolution in baby care. A new baby sleep product that is proven to soothe your baby to sleep safely and effectively. The easidream® system is unique. A simple but clever device that sits under any cot mattress to mimic the soothing environment of the womb, combined with ewan the dream sheep, a toy with sound and light to calm your baby and lull them to sleep.